Once the person is over 18yrs of age and in good health. Wavier to be signed. There is a dress code. Flat closed toe shoes, long pants. No vest or open arms. Helmets must be worn. Vintage sideways action debuts in Milton this weekend. Harold Morley & Bobby Maharaj will be competing in their 911 Porsche. This the first time the car will be tasting local dust! 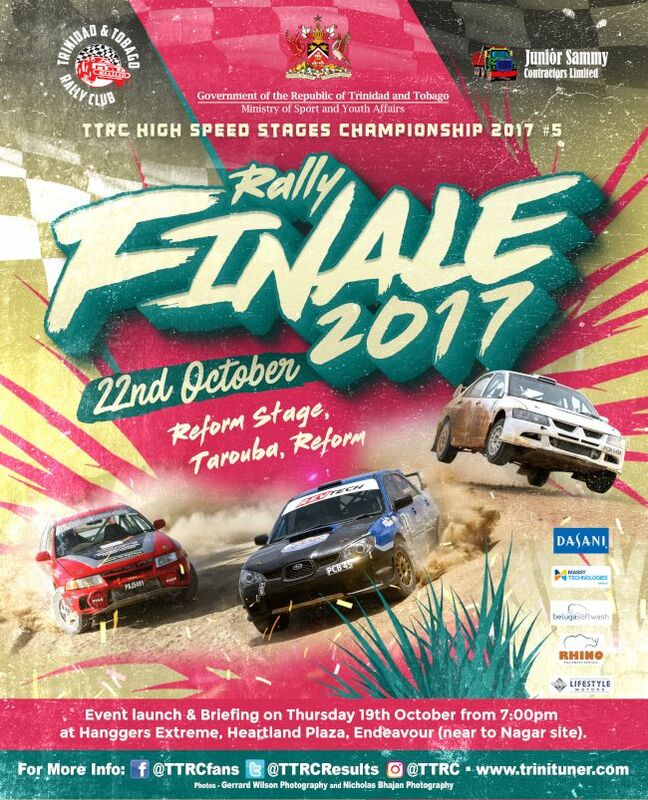 TTRC host the 2nd event in it's high speed stages Championship for 2018. Location :Jack & Jill Stage - Indian Trail , Couva. Topic: TTRC Rally Trinidad 2018- 23rd-25th Mar. Re: TTRC Rally Trinidad 2018- 23rd-25th Mar. Directions for Rally Trinidad 2018, Saturday 24th March. Bronte stage. TTRC Rally Trinidad 2018- 23rd-25th Mar. Re: TTRC Test N Tune - This Sunday. Topic: TTRC High Speed Stages #4 : 17th Sep.